Items must be picked up in Simsbury, CT on designated days- Wednesday January 23rd 9:30-4, Thursday January 24th 1-6:30 and Sunday January 27th 9:30-4. Please bring boxes, packing materials and help to move items into your vehicle. Items can be shipped for cost of postage plus an $8 fee per lot for handling and shipping materials. Shipping is charged separately after the auction close. Contact the manager no later than Sunday January 27th to arrange for shipping. Items not claimed by January 27th are forfeited without reimbursement. 15% Buyer's Premium and 6.35% CT Sales tax added to hammer price. Sales tax not charged if a valid tax registration is on file prior to auction close. 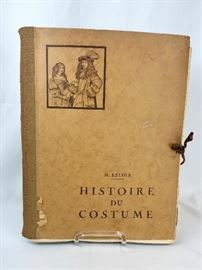 History of Costumes Volume IX By M. Maurice Leloir 1934 In French. 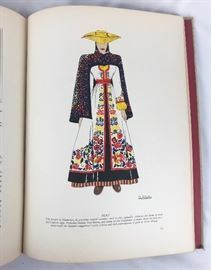 Latin American Costumes- one of a lot along with French Costumes by LePage-Medvey. 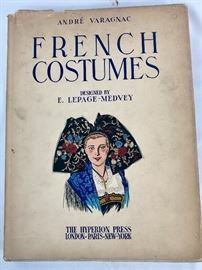 One of 40 plates in French Costumes book by Lepage-Medvey. 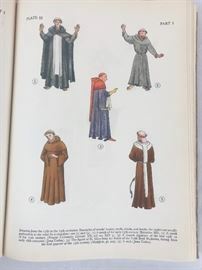 French Costumes book in a lot with Latin American Costumes book. 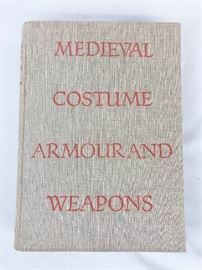 One page from Medieval Costume Armour & Weapons. 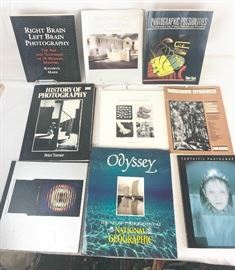 Lot of 9 photography books. 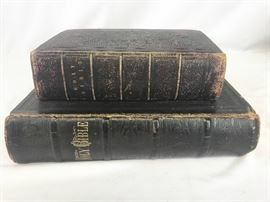 Jeremiah Randall/ Grandison Warner family Bible 19th century and smaller 1835 bible. Includes pages from an older bible early 19th century. Ancient Woodbury CT book Volume II only of 3 Volume set. First edition. Benedict's Treatise 3rd edition 1852. Cover from Scarlet Letter 18" x 14"
part of a lot of 1850's Ladies' Wreath Magazines etc. Page from oversized book- Hawthorne's Scarlet Letter. 1879. Lot of Middlebrook's New England Almanac. 1870-1915. Some issues missing. Lot of early 20th century postcards in Whitman candy tin. Jello recipe booklet part of lot. Lot of 10 books on flowers. Part of lot of 10 books about flowers. One of books from lot about flowers. The Art Journal 1876 Volume 2. Engraving from Art Journal 1876. Over 75 pieces of sheet music mostly 1920's flappers. Fish & Game of New York 34 plates, 1902. One of NY Fish & Game prints- birds. 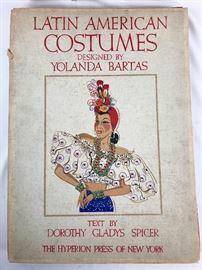 History of Costume Volume XI. Covers period of Louis XV 1725-1774. 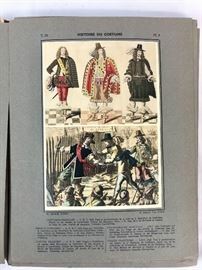 Plate from History of Costume Volume XI. Lot of 4 over sized art books. 4 Art Books. Georia O'Keefe, R. Bradford Johnson, Adolph Sehring, Stow Wengenroth. One of a lot of 10 books about birds. 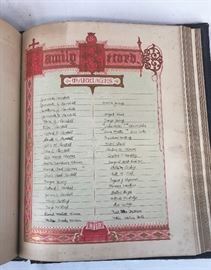 One of 2 Textile books. Second of 2 Textile books. Written in German 1927. Lot of Art books, clip art. Lot of instructional art books- painting. Animate Creation 1885 Volume I & III. Popular Edition of Our Living World by Reverend J. G. Wood. 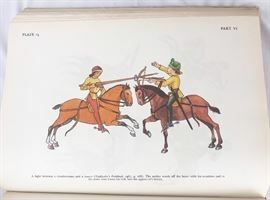 Beautiful color full page wood engravings. One of the wood engravings- Animate Creation.